I really enjoyed Copyright and Inequality, a new paper by Lea Shaver forthcoming in the Washington University Law Review — enough to attempt a summary on first read, and to read a second time, aloud, in hope that some people who would never read a 52 page paper might still hear its message. The paper is highly readable, a large part of it (“A Case Study in Book Hunger”, numbered pages 9-22, about books, languages, and the socio-economics of South Africa) of general interest, barely mentioning copyright at all — though if you start by reading that section, hopefully you’ll then read the rest of the paper to find out how copyright is implicated. May the remainder of this post be a complement. To put it crudely, Copyright and Inequality mostly concerns copyright’s role in keeping the poor poor, rather than its role in concentrating wealth. The latter seems even less studied than the former, but the former seems more important, unless you consider rule by plutocracy the most urgent issue in the world. In the category of keeping the poor poor, the magnitude of copyright’s negative impact on neglected language (cf. neglected disease) populations was new to me — the requirement of permission to translate contributes to almost no books being available in these languages, for pleasure, or for education, the latter creating a bottleneck for further life opportunities (n.b. “everyone should learn English” is a multi-generation strategy only successfully carried out by wealthy countries so far). The cost issue is obvious, but can hardly be repeated enough. Shaver provides the example of books (when available at all, almost always in English) costing 2x as much in South Africa as in the US or UK, while income is far lower, especially for the poor (about half of the population lives on less than US$50 a month). Another scholar mentioned commons-based peer production in the context of patents. “Open business models” meaning very broadly cultural production not dependent on restricting copying. “Limited commons”, e.g., copyright might be relaxed for a neglected language, but translations of new works in that language to non-neglected languages would be fully restricted. I’m happy that these are included at all, but commons advocates need to make full versions central. A carve out for translation to neglected languages would be better than none, but if it is achieved, will take many years of negotiation, and be riddled with requirements that will limit effectiveness (as Shaver notes is the case with carve outs for disability), and obviously would leave all non-linguistic copyright inequality mechanisms, and the resources of interest groups that support enclosure, fully intact. Commons-based funding mandates and peer production can happen much faster, and are anything but politically impossible, and can make a huge impact, far beyond a “patch”. This potential huge impact might hold especially for neglected languages, which essentially are not being served at all by proprietary production. For everyone, as I’ve said many times, product competition from the commons both reduces the resources available to enclosure industries to lobby for protectionism and re-imagines the range of desirable policy, in sum shifting what is politically possible. I’ve long admired Wikimedia’s commitment to host its projects (Wikipedia and friends) for any language community capable of maintaining a project, even a very small one, and its enunciation of the importance of this commitment and of Wikimedia’s freedom (as a non-profit) to pursue such a commitment. The result so far includes Wikipedia in 287 languages and much more, with even more in incubation, formal and informal movement communities around the world, a program to make Wikipedia access free of mobile data charges in the developing world, and probably much more I’m not aware of. Should the findings of Copyright and Inequality lead the various parts of the Wikimedia movement to multiply their efforts to support the growth of and access to free knowledge in neglected languages and increase estimates of the Wikimedia movement’s economic values accordingly? The paper’s findings are probably already well known by the staunchest language advocates around Wikimedia, but perhaps they should be taken even more seriously than they already are. I am ignorant of the human side of Wikimedia outreach to neglected language communities, but surely there is now a substantial body of experience which could be leveraged in making further investments and partnerships. On the technical side, perhaps the migration of lots of knowledge into the truly multilingual Wikidata project could enable more projects in more languages to be truly useful, even for very small language communities? The importance of first language availability of texts, especially educational materials, implies that software user interface availability in the user’s first language is probably pretty important too. What would it take to increase popular free/open source software application language support from dozens (Firefox claims over 80, LibreOffice over 30) to hundreds, even thousands of languages, thereby including most neglected languages? More collaboration across program translation efforts? More centralization? Collaboration with governments, educational systems, funders? A higher bar for user interface changes requiring translation updates? Fewer programs? Fund the creation new free knowledge (inclusive of entertainment!) works in neglected languages, e.g., with small grants and prizes, and introduction of collaborative production, e.g., book sprints? Market, sell, distribute, push for adoption of free knowledge works among neglected language populations — this is what publishers do (given a wealthy enough population anyway), and what must be done for the commons. Making works available online, with no promotion, only solves problems for an elite, and doesn’t offer proprietary publishers any competition, where they choose to compete. Could recognition of the value of neglected languages provide an impetus for a new and large effort toward free software machine translation? Little progress has been made thus far, perhaps in part because some proprietary services such as Google Translate are gratis, and work for most non-neglected languages. Could redoubled effort to support neglected languages in Wikimedia projects (Wikisource translations might be especially relevant) and free/open source software projects help provide needed parallel corpora? Awareness of the plight of neglected language populations could buttress arguments for open funding mandates, particularly if it could be demonstrated that some resulting materials were actually translated and used by said populations — neglected language translation and marketing might even be included in some such mandates, or funders and projects working with neglected language populations could specifically target translation and distribution of the “best” of the output of open funding mandates. Overall, copyright law works quite well for copyright scholars at leading universities. Its protections give us control over our own writings, which we can choose to invoke or to waive, as we believe best suits our own interests. Its incentives help to stimulate the production of an ever-greater variety of informative and entertaining works for our professional and personal development. Its limitations on access and use of copyrighted works only rarely pose significant problems for us. From this perspective, it is easy to miss the more profound problems posed for the 99% of the world that does not enjoy the same privileged position of access. From this privileged perspective, creative production resembles a constantly expanding buffet of choice laid before us, among which we may select the most appealing options until we are full. Perhaps some of these offerings are being produced in languages we do not speak. No matter, more than enough choices remain. In our affluence of resources and opportunities, we might even choose to acquire fluency in a second language to further expand our choices. Copyright protection promises to raise the quality, the diversity, at the very least the sheer number of offerings placed upon the table. How could this be a bad thing? But can your peripheral vision stretch farther still? If so, you might see, standing back behind you, a hungry crowd. They are the poor. They are a majority of the world. They too admire the buffet. But they realize it is not laid for them. For some of us, the proliferation of new works is a bounty, opening up new worlds of consumer choice, new horizons of creativity to explore. For most of the world’s population, however, the expanding universe of new cultural works is yet another site of social privilege from which they are effectively excluded. Located in major research universities, we also enjoy supremely convenient access to the best-funded libraries in the world. As a group, we do not fail to complain when we notice that copyright law impedes our own ability to access, create, and distribute cultural works. Fortunately, our legal expertise and professional experience positions us well to both recognize the legal roots of our problems, and to suggest solutions to our legislatures and courts. But however well positioned relative to neglected language populations or the general public of wealthy countries, these complaints and suggestions always face a tremendous uphill battle, at best. The enclosure industries are much better positioned than their scholars. We love whatever culture we grow up in, but I doubt the one driven by the maximization of rents available from cultural products (cf. ), at the expense of freedom and equality, is anywhere near the best of possible worlds, even for those with access to those products. I think an analogy to the internet is appropriate: had a small number of closed electronic services continued to dominate, and a decentralized network never developed, we would now think of the AOL, CompuServe, and Prodigy of 2014 as amazing — and they would be! The much better world of the internet would be beyond the imagination of most. Culturally, that AOLternative universe is the one we live in. But we can catch some glimpses of the internet universe, e.g., in Wikipedia, in PLOS, in memories of Napster. Perhaps appropriately, only acting in the interests of poor and neglected language populations, against copyright inequality, will we be able to leave the AOL culture scenario and into the internet culture universe. An often-quoted statement by John Maynard Keynes posits that “The political problem of mankind is to combine three things: economic efficiency, social justice, and individual liberty.” The perspectives of economic efficiency and individual liberty have profoundly informed our discussion of copyright law. Yet the perspective of social justice has been comparatively absent. Reckoning with the ways in which social inequality impacts the market for copyrighted work begins to supply this missing perspective. In the end, the inequality insight also leads us back to economic efficiency and individual liberty. For a system of creative production and exchange that excludes most of the world from participation is also not economically efficient. Nor does it effectively promote individual liberty for all. To promote all three of these values, copyright policy and scholarship must account for the realities of social inequality. Read the entire paper, and share! The framing is wrong – it should be “production models”, or “sustainability models”, not “business models” – the assumption that production of copyrighted works has to happen through “business” is a harmful and anti-democratic in an age where every citizen has access to tools that can publish to the entire world. In part as a result of this framing, it is sad but not surprising that no citizen/public interest groups were consulted in the creation of the material. Not sure we’d want to say that to them publicly, but if we decide not to offer informal comment I’d want to say that publicly in a blog post when this is published. If the purpose of the observatory is to study infringement, then clearly peer production should be listed as a “business model” and the infringement of peer-produced material should be treated on a par with material produced through the other production models. I’m sure this group can come up with examples of infringement of our material and of other peer-produced content. Music: no mention of tools like Soundcloud (.de-based!) that are intended to democratize music creation and publication. Sports: I can’t speak to the EU, but in the US, fan-created commentary (such as sbnation.com) is now a huge source of reporting on sports news, often delivering better quality than the traditional news sources. Probably not directly relevant to this section, though (unless there have been legal threats in the EU around fan-provided live-streaming commentary). Press content: at least in the US, donor-supported/non-profit media is an increasingly important source of news; lots of detail here: http://www.journalism.org/2013/06/10/nonprofit-journalism/ Don’t know if there are EU-based examples of this. Social media: with regards to 4.7 (news/social media), it should be noted that social media probably disproportionately *helps* peer-produced media, since that historically has very few resources to use for marketing/distribution, and so must rely on word-of-mouth. Sec. 4 and 5 consider “news” and “books”; amazingly, neither consider new text-centric methods of production of copyrighted works, like wikis or blogs. Again shows how blind this is to the actual innovation happening in the content space. Books: no mention that technical protection measures have encouraged monopolization of the distribution channels, to the detriment of traditional distribution channels and to blossoming antitrust problems in the US (and presumably soon in the EU). 6.2: a mention of communities! But on cue, statement that these authors may not be being remunerated, as if remuneration was the only potential goal for creators. Youtube gets mentioned here, but not in Sec. 1 (Music) or Sec. 2 (Audiovisual), which is insane. Sec. 7, Business Software: doesn’t mention open source. Completely nuts. Sec. 8, video games: no mention that this is a golden era for independently-produced games. Not sure that fits our narrative very well, at least not without a lot of explanation. B2B Services: this feels overly focused on remuneration/commercial licensing; I suppose that is inevitable to some extent, but it seems like it would be worth noting the increased options for free, high-quality content that business can use (e.g., Flickr photos and Commons for stock photography). Commons-based product competition simultaneously changes the facts on the ground, the range of policies imaginable, and potentially create a commons “industrial” interest group which is recognizably important to regulators and makes commons-based peer production favoring policy central to its demands — the likely Wikimedia response to the European Commission copyright consultation is a hopeful example. That response has been drafted by Villa and others involved in Wikimedia movement advocacy. I highly recommend the advocacy advisors mailing list, where Villa posted the points above, to anyone interested in changing the framing. 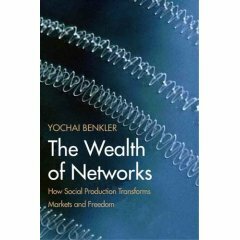 I recently wrote about Benkler’s 2002 claim that “commons-based peer production” or the “networked information economy” could enhance the liberal values of democracy, equality, freedom, and innovation and the corollary that “intellectual property” is a barrier to peer production, thus to realizing these gains. More riffing on Benkler’s papers forthcoming, but that post also serves to kick off a series I’ve long meant to do — looking at IP (take your pick: intellectual property, intellectual/industrial protectionism, inequality promotion, information/innovation policy) and commons from the perspective of various general characterizations of, take your pick: ethics, morality, politics, values. These posts will be rather naive, reflecting in some proportions the generally ignorant nature of what passes as discourse on IP and my ignorance of wide swaths of discourse. I appreciate efforts from others to correct both. Secular-rational values have the opposite preferences to the traditional values. These societies place less emphasis on religion, traditional family values and authority. Divorce, abortion, euthanasia and suicide are seen as relatively acceptable. How do the current IP regime and treating knowledge as a commons align on these dimensions? Deference to authority: literally, deference to those legally recognized as authors, practically, deference to highly capitalized intermediary “owners” who define culture through mass marketing. Traditional family values: highly capitalized intermediaries are often willing accomplices in promoting, and suppressing other values. Economic security: tropes of caring about starving artists and their descendants, and the centrality of the assumption that knowledge would not be created without property and of showing off how much “economic activity” industry generates. Low levels of trust and tolerance: previous assumption, and want to control unauthorized adaptations and uses. Less emphasis on authorial and intermediary control, largely debunking and struggling against these. Non-traditional, unintended, global uses welcomed as beneficial: sources of decentralized innovation. Outré uses seen as relatively acceptable, not to be suppressed by dominant intermediaries or legal persecution. Cultural environmentalism, knowledge ecology threatened by enclosure rather than inadequate incentive. Tropes of participatory culture, democratized innovation, commons-based peer production as a means of enhancing liberal values of democratic discourse, individual autonomy, equality. I didn’t include religion above because it plays little role in contemporary IP discourse, but historically I’d place it solidly with Property, thus furthering its alignment with traditional values — religion has been a and often the primary enforcer of control and exclusivity over knowledge from the dawn of civilization. Commons advocates look back fondly on gift exchange in traditional cultures. I don’t think this will be a fruitful attack, as gift economy does not align with traditional or survival values as used in the World Values Survey. But you could construct a tenuous multi-step argument. Jurisdictions with stronger enforcement of intellectual property tend to have populations with secular-rational and self-expression values, relative to those with weaker enforcement. Property, through its support for centralized control and highly capitalized intermediaries, is exactly what destroys traditional and survival values, even if relying on same for legitimacy, and needing to strike occasional bargains with traditional values advocates. Perhaps these amount to claim that commons expressively aligns with secular-rational and self-expression values, but property instrumentally aligns with same. This largely brings us back to theory and facts: does property or commons maximize innovation? But, what about freedom and equality as desiderata of innovation policy? I conclude for now that the current IP regime aligns with traditional and survival values and knowledge commons with secular-rational and self-expression values. The reading group (curated by Nate Aune) I mentioned as having started with Coase’s Penguin is on to its first book: The Art of Community: Building the New Age of Participation, 2nd Edition (2012) by Jono Bacon. It happens this corresponds with another delayed book review, though only by 18 months in this case, and largely motivated by the book including an interview with me (reproduced below). Autobiography of Jono Bacon. Less of this book is latent in the tome than those below, but tales of Bacon’s life are interspersed, and his personality comes through strong (n.b. Bacon uses “tales” to denote stories told within a community, not “tall tales”; similarly “fables” to denote stories that explain a community, not myths). Inside the Ubuntu/Canonical Ltd. community: how it works, its tales and fables. Tools and practices for managing an open source software community, especially one led by a for-profit company (corresponding to Ubuntu/Canonical Ltd. above). Reference/workbook for community managers and their managers. Also interspersed throughout, but especially the chapter on hiring a community manager. Community management casebook, heavily leaning on interviews with open source software project managers, but also many other types of community leaders and managers. If any one of these piques your interest, it’s worth downloading the PDF and clicking in the ToC or word-searching, as is your style. If multiple seem compelling (say your company wants to hire a community manager, or you want to be hired as a community manager by a company), then reading the whole thing carefully would be a good use of your time. The interview with me in the book (numbered pages 492-495), conducted late 2011. The “cc-community” in the title of this post refers to a mailing list not mentioned in the interview. You have been at the CC for a long time now. How did the organization look when you joined? I joined CC in April, 2003, a few months after the first CC licenses were released. We were in the basement of the Stanford Law School, as that’s where Lawrence Lessig was. Various people had been involved over the preceding year, but essentially there were three staff just before I joined. There was a very loose community initially, based on the notoriety of Lessig and other founders and some friendly coverage in the usual (for the time) geek outlets such as Slashdot — more a variety of well-wishers than a community. What kind of community did you set out to grow? The other person CC hired in April, 2003 was our first international coordinator, based in Berlin. One community that we set out to grow, initially via this position, was a network of legal scholars around the world, who could collectively figure out how CC licenses work with copyright law in various jurisdictions around the world. This is the main community that CC was and is intentional about growing. We also set out to grow connections with related communities, eg open access, open education, open source, and mostly deliberately stayed away from trying to create “CC” subcommunities within these movements, and instead play a supporting role. There always has been a mostly latent “CC community” of people who aren’t tied to a CC affiliate institution, and may or may not be involved with other nearby movements, but for whatever reason see CC as one of their primary passions — which is fantastic of course. CC the organization hasn’t ever really set out to “organize” this largely latent community, mostly due to lack of bandwidth (admittedly this could seem short sighted) and it isn’t clear how this community ought be cultivated — it is a very diverse set of people. I and some others see mobilizing this community (I’m actually more comfortable thinking about it as a movement) in some form as one of the biggest opportunities CC has in its next decade. What approaches did you use to grow your community? Regarding the international community of legal scholars we intentionally created, we gave them interesting, challenging, but highly delimited work — “porting” the CC license suite to their respective jurisdictions. (A “port” is usually both a linguistic translation and legal “translation” to reference local laws, drafting style, etc, where appropriate to hopefully make the ported licenses more understandable to the legal community in a given jurisdiction, but achieve the same affects to the extent possible.) This element of work made it relatively easy to determine what kind of team (usually composed of people from one or more local institutions) could be part of the formal community — they had to bring certain legal expertise, interest, and capacity — and gave community members a strong sense of ownership and contribution. In the past 8 years CC licenses have been ported to over 50 jurisdictions via this process and community. In a sense this is just another instance of work occurring in chunks amenable to work being done by lots of different people, but I think the subject matter and large size and duration of the chunks makes it fairly interesting. Although many of the affiliate projects have formed their own local communities that have given feedback on license drafts, the overall process is highly controlled by experts, and openness to attracting and up-leveling drive-by contributors not much of a factor. This arrangement has been shown to not be competitive for building an encyclopedia, nor for most software and cultural projects, but perhaps should be evaluated if one thinks their project requires long-term commitment from a community with narrow and rare expertise. Among the community involved in license porting, there has always been desire to also do advocacy and outreach, and sometimes art projects and software development. This has occurred organically, but over the last year or so we’ve also formally recognized those activities as potential responsibilities of a CC affiliate. While producing interesting work, a community that only really needs a few lawyers in each country is self-limiting. The aforementioned activities need unlimited resources, including the involvement of many more lawyers, who are crucial in persuading institutions and governments to adopt CC tools as policy, for example. Probably over the next few years there will be many more institutions and people officially involved in the CC community, with impressive outreach and projects around the world as a result. The CC philosophy, particularly a few years ago, was fairly alien to the normal culture of content licensing and distribution practised by large record labels and studios. How did you communicate this message to your community? Building a commons is still completely alien to “big content”; not even relevant really. Giving up the ability to legally persecute fans and users is a bridge too far for those whose dominant interest is protecting and milking existing revenue streams for however many quarters their horizon is. If it takes destroying the Internet to do that, so be it. This has to change, but the change won’t come from big content adopting CC licenses wholesale (though of course we appreciate when a progressive element does so for a project, and I’d be happy to be wrong), but through policy change that removes their ability to persecute fans. Have we reached “peak copyright” yet? Communicating this to the CC community is not a challenge — they already knew how poorly aligned the interest and practice of big content and society are, and for many people this was a motivating factor for getting involved in CC. The challenge has been figuring out where the commons can make a big difference, given the indifference-to-hostility of big content. The answer has arrived at fairly organically, learning both from the broader community (e.g., FLOSS, Wikipedians, the Open Access movement) and from the CC affiliate community’s work on institutional and government policy. The summary is that CC’s sweet spots are community and mass collaboration projects, where legal freedoms are necessary for a project to scale, just like in FLOSS, and in publicly interested policy, where the policymaker might be a funder, and institution, or a government. In both of these cases, the appropriate CC license or public domain tool is a standard, well understood and recognized instrument that can be made the legal basis of a project, or slotted into a broader policy intended to benefit the public, instead of engaging in expensive debate and reinvention — and there’s a big community of experts eager to help, wherever one is in the world. There is a passionate CC community out there. How did you build a community that takes the CC ethos and spreads it further and advocating it to others? Sharing, giving credit where due, valuing the common good, using technology to encourage such, not persecuting people who do those very natural things — things that one might recognized as “the CC ethos” — all precede CC. They’re essentially human. CC created some practical tools that one can use to further those ends and a brand that denotes such an ethos at our particular juncture in history. People would’ve been spreading that ethos in the same contexts CC is now — one can see an explosion of experiments in open content licensing in the years just before CC launched. Hopefully overall CC has made those people more effective than they would’ve been without a fairly high profile and well resourced (but tiny in the scheme of things) license steward, i.e., CC. 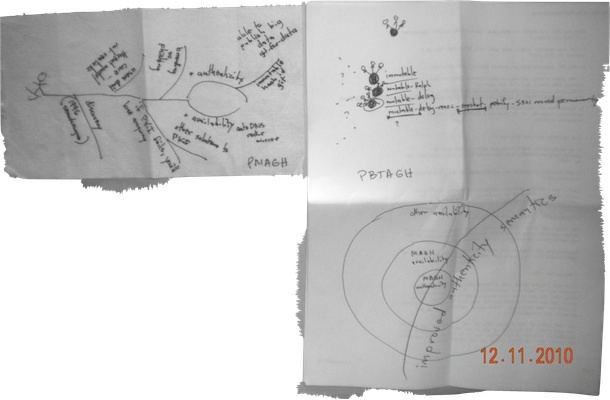 We did make an attempt approximately 2005-2008 to provide a nexus for open movements to meet and collaborate, a subsidiary called iCommons (now a small independent charity) that ran a series of “iSummits”. These turned out to be mostly useful for bringing the CC community together, so our next global gathering, which did not occur until September, 2011, made no pretense of being anything other than a CC summit. There remains huge opportunity to at appropriate times work together with other communities and movements with an overlapping ethos — more of that is happening, but slowly, and not under an umbrella brand. CC is a now well established organization and community. How do you keep your community passionate about the CC and Free Culture? Regarding the CC affiliate community (copyright and other experts mentioned above), carefully and collaboratively. Some of the core work by that community is changing — we’re working on version 4.0 of the CC license suite now, which has the aim of being unambiguously global — porting as it has been done so far may end, or at least will be a special case. We have to move and diversity the work of this community, and it has to be even more vital and challenging work, e.g. CC adoption as policy, leveraging CC’s reputation in nearby policy debates impactful to the commons, CC as a subject of legal, economic, and other research, and interfacing with WIPO and other international institutions. We have to strive to make CC a truly international organization itself. What this means for governance, staffing, fundraising, the structure of relationships with affiliates and other organizations — we don’t know yet, and will probably always be evolving. Regarding the broader community and potential movement, the flip answer is that we don’t have to do anything. The passion is there, and free culture, open access, open education, etc, provide endless good news and opportunity for all interested — and occasionally we get a gift in the form of a ridiculously incorrect attack on CC from a big content executive — that fires everyone up. However, there’s a lot that we do, the single most important one being serving as a great license steward, which includes everything from explaining and answering questions to advocacy to actually getting the licenses “right” so that they’re the best tools for growing the commons. If our explanations of the licenses are confusing, or we have licenses that don’t serve to build the commons, it puts a real damper on the ability of the community to advocate and spread CC, and their passion for doing so. The 4.0 process is also going to be crucial for engaging the broader community, and be a determinant of how much passion and energy we see from them over the next decade. My highest aspiration would be for the 4.0 licenses to have received overwhelming input and buy-in from both the broadest set of “netizens” (if I may use a 1990s term) interested in the common good and policymakers, forming a standard for info- and innovation-policy and norms for a generation. Coming anywhere near that goal will require lots of community organizing! CC is a funded by donations. What approaches have you used to gather these donations? So far the vast majority of our funding has come from U.S.-based private foundations. Our main effort for community support (which I consider the most healthy form of funding, and should over time become the most important pillar) has consisted of an annual fall campaign, mostly conducted online — think a micro version of the Wikimedia fundraising campaigns that most readers should have seen. CC has a lot of learning and growth to do here. The main reason to cultivate the CC community is that doing will be instrumental for accomplishing our mission — but it is true that we hope that a portion of the community has the means and feels our work is important enough to donate each year. If you enjoyed that, check out the other community case book interviews: Linus Torvalds, Linux; Mike Shinoda, Linkin Park; Mårten Mickos, MySQL and Eucalyptus; Tim O’Reilly, O’Reilly Media; Carolyn Mellor, X.commerce, PayPal, and eBay; Ilan Rabinovitch, Southern California Linux Expo; Richard Esguerra, Humble Indie Bundle; Mark Bussler, Classic Game Room; Mary Colvig, Mozilla; Dries Buytaert, Drupal and Acquia; and James Spafford, Media Molecule. If you enjoyed the book, Bacon also runs community leadership conferences. One of the nice things to come out of RDFa 1.1 is its initial context — a list of vocabularies with prefixes which may be used without having to define locally. In other words, just write, e.g., property="dc:title" without having to first write prefix="dc: http://purl.org/dc/terms/". In addition to making RDFa a lot less painful to use, the list is a good starting place for figuring out what vocabularies to use (if you must), perhaps even for non-RDFa applications — the list is machine-readable of course; I was reminded to write this post when giving feedback on a friend’s proposal to use prefix:property headers in a CSV file for a custom application, and by a recent announcement of the addition of three new predefined prefixes. Survey data such as Linked Open Vocabularies can also help figure out what to use. Unfortunately LOV and the RDFa 1.1 initial context don’t agree 100% on prefix naming, and neither provides much in the way of guidance. I think there’s room for a highly opinionated and regularly updated guide to what vocabularies to use. I’m no expert, it probably already exists — please inform me! Since January 2008, therefore, DCMI includes formal domains and ranges in the definitions of its properties. So as not to affect the conformance of existing implementations of “simple Dublin Core” in RDF, domains and ranges have not been specified for the fifteen properties of the dc: namespace (http://purl.org/dc/elements/1.1/). Rather, fifteen new properties with “names” identical to those of the Dublin Core Metadata Element Set Version 1.1 have been created in the dcterms: namespace (http://purl.org/dc/terms/). These fifteen new properties have been defined as subproperties of the corresponding properties of DCMES Version 1.1 and assigned domains and ranges as specified in the more comprehensive document “DCMI Metadata Terms” [DCTERMS]. The first two paragraphs explain why a new vocabulary was minted (so that the more precise definitions of properties already in DC Elements do not change the behavior of existing implementations; had only new terms and classes been added, maybe they could have been added to the DC Elements vocabulary, but maybe this is ahistoric, as many of the additional “qualified” DC Terms existed since 2000). The third paragraph explains that DC Terms should be used for new applications. Unfortunately the text informally (the prefixes aren’t used anywhere) notes the prefixes dc: and dcterms:, which I’ve found is not helpful in getting people to focus only on DC Terms. Expressing Dublin Core metadata using the Resource Description Framework also notes the dc: and dcterms: prefixes for use in the document’s examples (which don’t ever actually use dc:). Some of these documents have been updated slightly, but I believe their current versions are little changed from about 2008, a year after the proposal of the DC Terms refinements. How to use DCMI Metadata as linked data uses the dc: and dcterms: prefixes and is clear about the ranges of properties of each: there is no incorrect usage of, e.g., purl.org/dc/elements/1.1/creator because it has no defined range nor domain, while purl.org/dc/terms/creator must be a non-literal, a purl.org/dc/terms/Agent. Perhaps this makes DC Terms seem scarier and partially explains the persistence of DC Elements. More likely I’d guess few know about the difference and lots of use of the DC Terms with non-literal ranges are used with literals in the wild (I might be guilty on occasion). It is not incorrect to continue using dc:subject and dc:title — alot of Semantic Web data still does — and since the range of those properties is unspecified, it is not actually incorrect to use (for example) dc:subject with a literal value or dc:title with a non-literal value. However, good Semantic Web practice is to use properties consistently in accordance with formal ranges, so implementers are encouraged to use the more precisely defined dcterms: properties. We also expect that often, where we expect a property value of type Person, Place, Organization or some other subClassOf Thing, we will get a text string. In the spirit of “some data is better than none”, we will accept this markup and do the best we can. What constitutes “best practice” in this area is bound to evolve with implementation experience over time. For the records: after having also discussed on yesterday’s telecom, I have made the changes on the profile files yesterday evening. The prefix set in the profile for http://purl.org/dc/terms/ is set to ‘dc’. (2013-06-17) Bernard Vatant: Although “dc” is often used as the prefix for this vocabulary, it’s also sometimes used for DC terms, so we preferred to use the less ambiguous “dce” and “dcterms” in LOV. See usage at http://prefix.cc/dc, http://prefix.cc/dce, http://prefix.cc/dcterms, and more discussion at http://bit.ly/uPuUTT. I think the discussion instead supports using dc: and dc11: (because that’s what the RDFa initial context uses) instead. LOV doesn’t have a public source repository or issue tracker currently, but I understand it eventually will. Now I have this grab-bag blog post to send to friends who propose using DC Elements. Please correct me if I’m wrong, and especially if a more concise (on this topic) and credible document exists, so I can send that instead; perhaps something like an opinionated guide to metadata mentioned way above. Another topic such a guide might cover, perhaps as a coda, would be what to do if you really need to develop a new vocabulary. One thing is you really need to ask for help. The W3C now provides some infrastructure for doing this. Or, some qualified dissent from a hugely entertaining blogger called Brinxmat. Some readers of my blog who have bizarrely read through this post, or skipped to the end, might enjoy Brinxmat’s Attribution licences for data and why you shouldn’t use them (another future issue report for LOV, which uses CC-BY? ); I wrote a couple posts in the same blogversation; also a relevant upgrade exhortation.